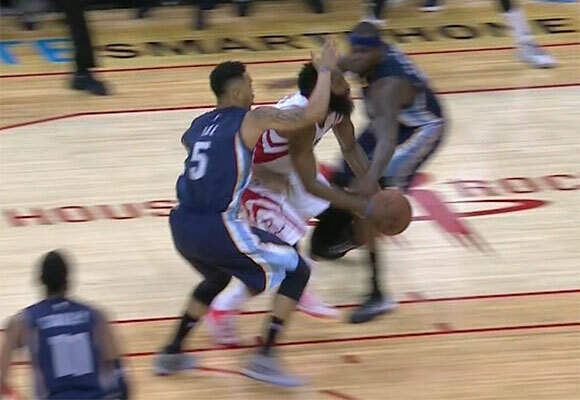 The bright side of the Rockets’ annual late-season collapse is that it didn’t cost them the playoffs. The Rockets will play their first postseason game in four years as they take on the Thunder in Game 1 tonight at 8:30pm Central. As the regular season came to a close Wednesday night, the Rockets should have been concerned about plenty of things. Falling from complete control of the 6th spot to the final spot in the West is up there. So is their poor play in fourth quarters. 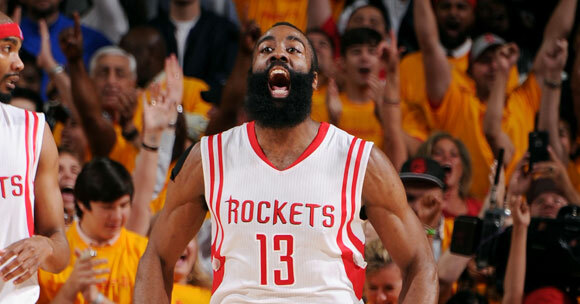 But my biggest concern, hands down, is that James Harden has looked like a mere mortal. There is no overstating how important Harden has been this year. The 6-foot-5 guard has been a revelation for the Rockets, the young superstar foundation they’ve been seeking for years. His outstanding play and cornerstone role in the offense is the reason the Rockets are still playing in late April. 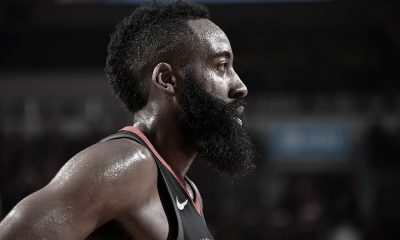 Opposing coach after opposing coach lauded praise on Harden, raving about how complete of an offensive player he is — solid three-point shooter, elite penetrator and finisher, elite ability to get to the line, unselfish and willing passer. 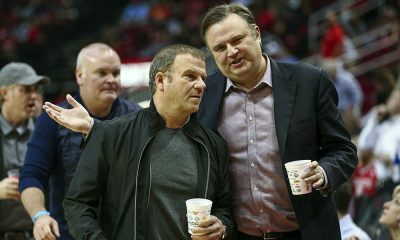 Make no mistake — without Harden, Houston is a lottery team, Kevin McHale doesn’t get mentioned as a Coach of the Year candidate and Daryl Morey isn’t the favorite to win the Executive of the Year award, as he should be. But something’s amiss right now. Harden has always been a terrific finisher, a guy hitting over half of his shots inside the arc. In 2010-11 he hit 51.4% and in 2011-12 he was knocking down an incredible 57.9%. Through the first 57 games in his first season in Houston, Harden was hitting exactly 50%. In the final 21 games since, starting with the month of March, Harden has connected on an uncharacteristic 39.4% inside the three-point line, a drastic drop. There are plenty of reasons this could be. Harden rolled his foot/ankle hard in Golden State just before the All-Star break and has been trying to overcome injury issues since. He also could be fatigued as his body adjusts to a much larger role, playing over 38 minutes a night. The team also has been operating without a stretch four on the roster since the trade deadline, which may or may not be creating more congestion in the lane, making it harder to Eurostep through. But whatever the reason, Harden’s driving ability and elite-level scoring efficiency is critical to the Rockets’ offensive success. Rediscovering that is of the utmost importance. The one game the Rockets won, a 122-119 thriller at the Toyota Center on February 20th, was a near flawless offensive performance by the Rockets. Harden hit 14-19 for 46 points, Jeremy Lin popped off for 29 points and the Rockets connected on 45.5% from downtown. But while we’ve discussed Harden’s slump, we haven’t touched on the Rockets’ more recent woes from beyond the arc. The Rockets thrived on the long ball for most of the year, but they hit 40% or better from three-point range just 3 times in the final 17 games. In fact, they hit just 33.4% during that stretch, a percentage that over the season would be worthy of bottom 4 in the league. So this is definitely going to be a daunting task. 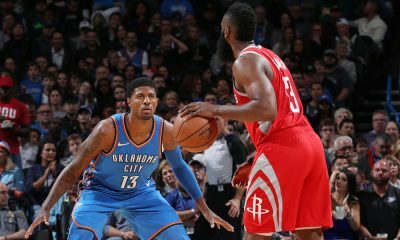 I believe the Rockets have made improvements defensively since they last saw the Thunder, but enough to overcome the slippage we’ve seen from Harden and the long distance dialers? Jeremy Lin was wildly inconsistent this year, but he also finished strong, hitting 39.3% from downtown over his final 34 games (compared to 29.3% in the 48 games before that). To me, that shows both his improvement and his promise heading into this series as well as 2013-14. But boy did he get the short straw in his first ever playoff series. Russell Westbrook is an athletic freak who could go for 40 on any night and put you on the wrong end of a poster while doing it (just ask Shane Battier). Lin will have his hands full. However, I don’t expect Lin (or anyone) to shut down Westbrook, only to make him work hard on the other end. The pressure will be on Lin to step up his offensive game if the Rockets are to have a shot in this matchup, as evidenced by the fact that he had to more than double his scoring average in Houston’s lone win over the Thunder this year. 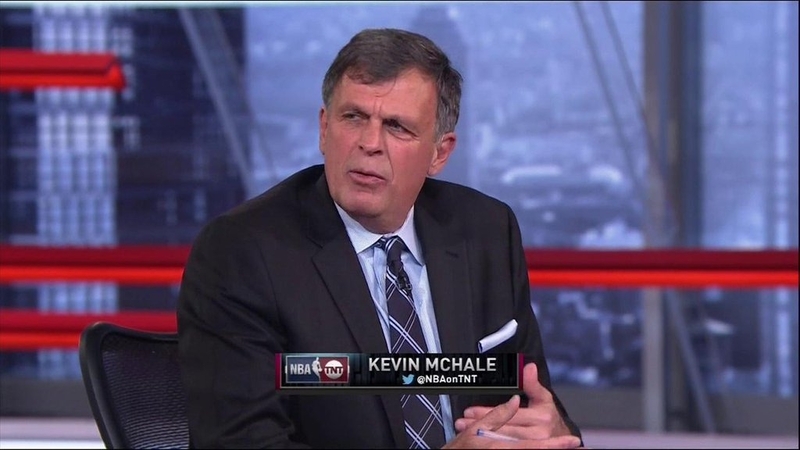 If Lin isn’t effective, expect McHale to go with a heavy dose of Patrick Beverley. Westbrook is an amazing talent, but he can be sensitive, immature and reckless. Remember his reaction to Dragic playing physical defense? Put Beverley on him, a guy who has gotten under the skin of several players in his short time in the NBA so far, and I’ll set the over/under on “Moments of Friction” between these two at 2.5. 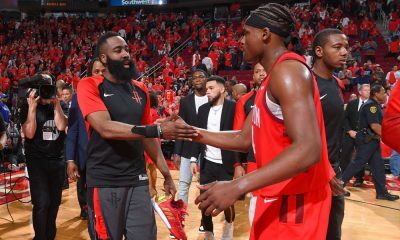 It’s not impossible for the Rockets to pull off the mighty upset and beat the Thunder — they have played at a level this season that suggests they could give them a great series — but recent trends don’t support it. On paper, this should go no more than 5 games in favor of Oklahoma City. A series win would be phenomenal for the Rockets (and certainly make OKC GM Sam Presti the loneliest man in the world), but there’s no shame in losing this series. The Rockets far exceeded expectations just to get here, and I do not believe the Rockets are coaching or player decisions away from a championship with this current roster. Harden is the centerpiece, but more is needed. So my primary focus is the big picture and I’m looking for positives under playoff pressure and intensity that the Rockets can build on, such as Chandler Parsons playing strong defense on Kevin Durant, Lin’s continued effectiveness on the offensive end and/or Omer Asik controlling the paint defensively. 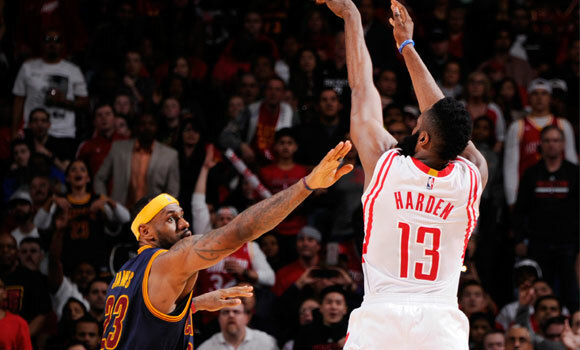 However, above all other goals for this series, Harden must play and lead well. As unfair as it may be, he is still being poked, prodded and tested as a superstar and his performance against his former team when the games really matter will be put under the microscope. 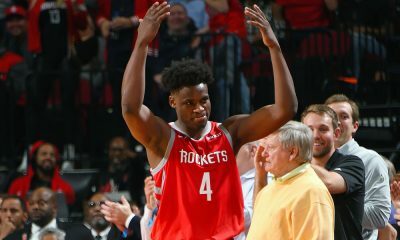 A poor showing from the Rockets’ foundation player, coupled with his tough close to the regular season, could create a sliver of doubt about the one thing that seemed unquestionable — their future. Harden can put that to rest starting tonight. Prediction: Heart seeks Rockets in 6. Mind says OKC in 5. I’ll compromise at Thunder in 6.